Which auction site is that? What did you pay for the SWRA? 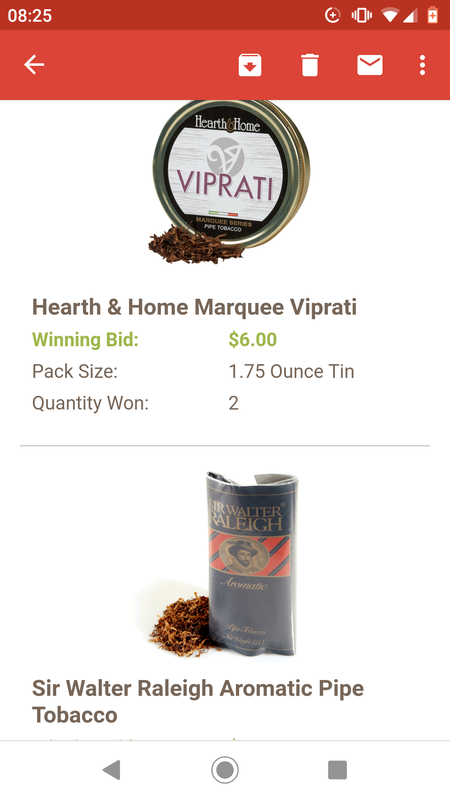 I plan on visiting cigar bid when I'm prepared to snag several items. Grabbing a 16oz bag of SP for $3 looks fun, but I don't want to degrade the thrill of the score by paying $5 shipping. I know... stingy a$$. You can set up your account to hold winning items for shipping, so if you set it up for a one or two week interval then all your winning items from that period will ship together. Something like that I think. Yep, read about that. Such a great feature on an auction site. Wish everything on eBay could be shipped together like that.